With their increasingly popular "POP!" line, as well as countless additional product lines to boot, Funko continues to be the lead in the world of vinyl collectibles these days (well, even more than vinyl—since their plush and apparel have been hits as well). 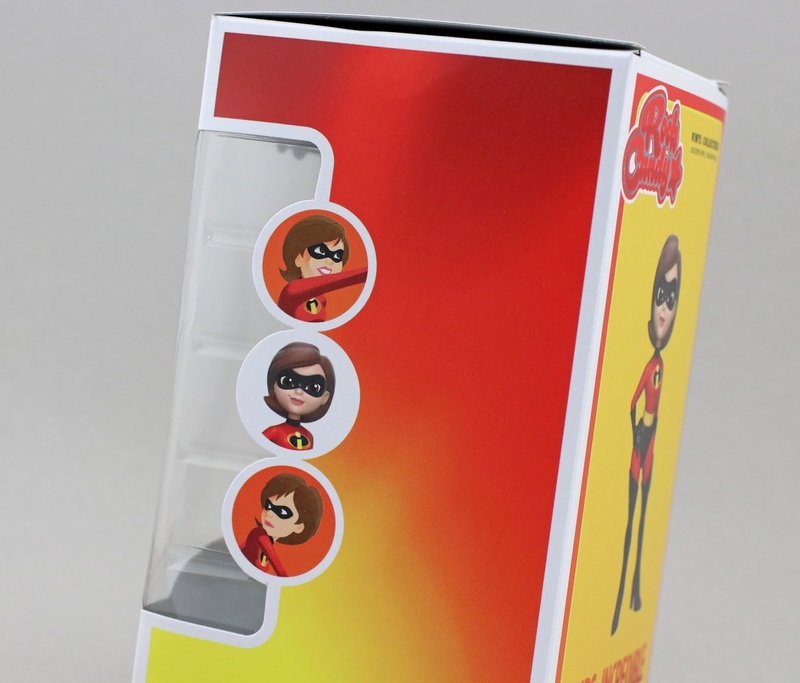 Mystery Minis, Dorbz, Pint Size Heroes, Vintage Style Action Figures, Hikari, Blox, Vinyl Idolz, Fabrikations...the list of lines in the Funko family goes on and on. One of their more recent collections (which arrived in the late winter/early spring of this year) is called "Rock Candy." 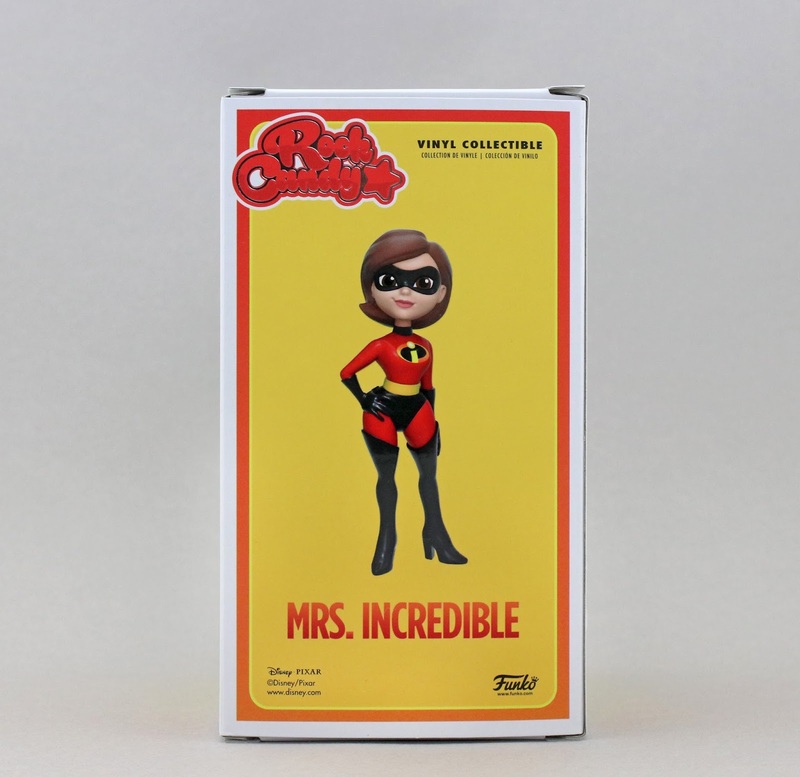 Rock Candy is a line of 5" stylized vinyl collectibles that primarily focuses on the female characters, both heroes and villains, of pop culture (in fact, the only male characters in this line so far are the recently released Harry Potter and Ron Weasley). I was so thrilled when I saw that a Mrs. Incredible was being made and was even more excited when I found her at Hot Topic yesterday! I've always really loved the character of Mrs. Incredible and I'm very interested to see where they take her in Incredibles 2 (since I hear she'll have more of a lead role). With that and just the cool looking nature of this figure, I had to get her! 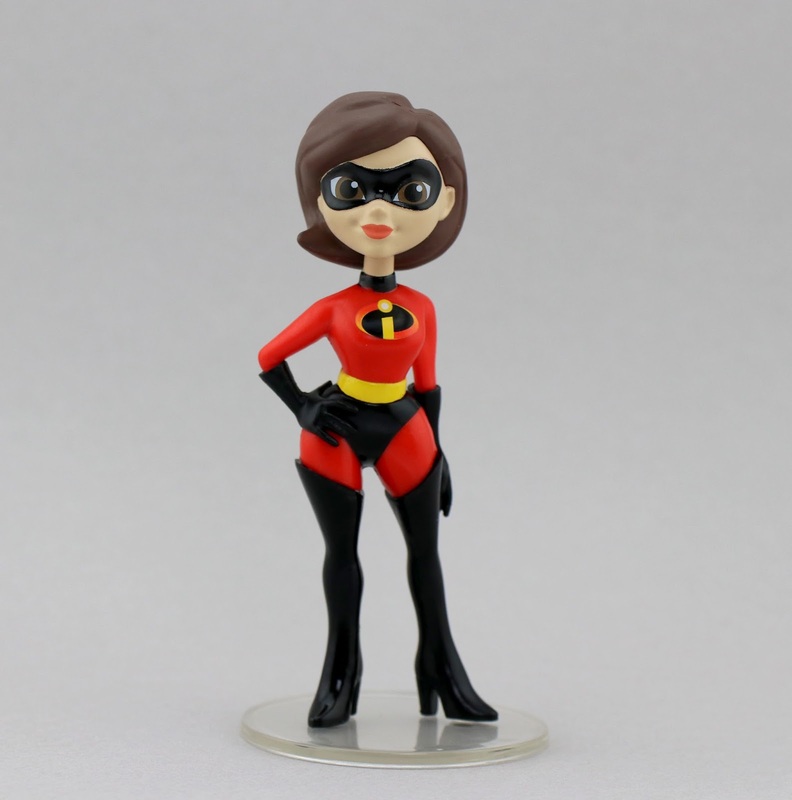 She already looks SUPER on my Incredibles themed shelf. Here she is out of the packaging. Isn't she great? Fantastically stylized, solid paint job and yes—she even comes with a clear display base which is perfect for us adult collectors. That is a huge plus for me. 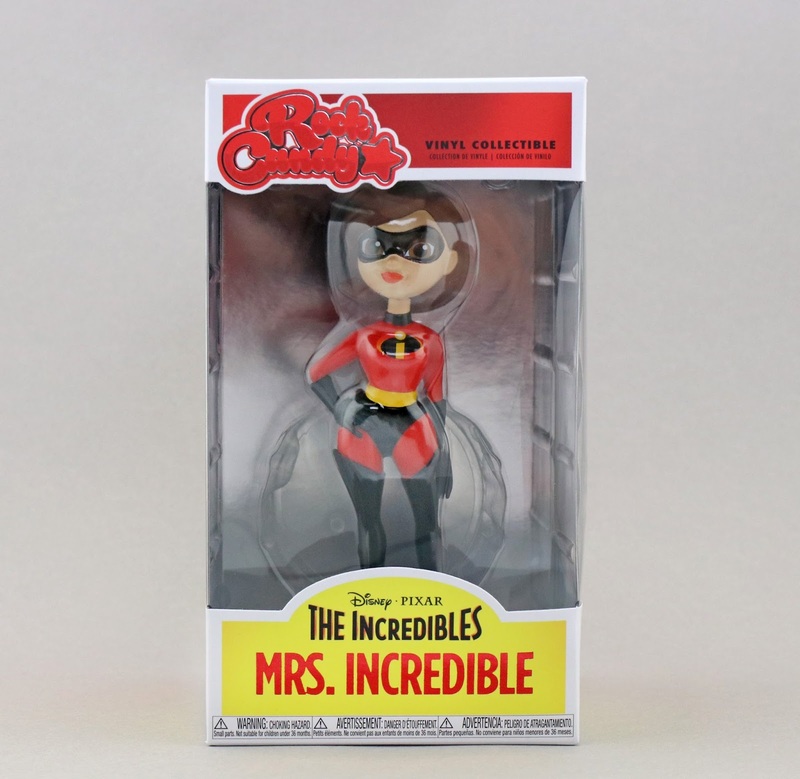 I'm excited about this addition to my collection, especially since you don't see much merchandise from The Incredibles released these days (that will change in six months of course though). If you're interested in adding her to your collection, check out your local Hot Topic. I've also seen Rock Candy figures at Barnes & Noble, but I haven't seen this one there quite yet. If you'd rather just pick her up online, I'll include an Amazon link below. Retail is $14.50 (though I caught a store wide sale at Hot Topic and paid $9). Let me know your thoughts!